‘The Life of God In The Soul of Man’ was originally written as a private letter to a ‘dear’ friend, to explain Christianity. It was never intended for publication. Yet it has become a classic Puritan text and one of the most read and influential treatises ever written for the comfort of God’s saints. Henry Scougal was born in 1650 and lived only 27 years, when he died of tuberculosis. Just before his death in 1677, Scougal allowed the private communication to his friend to be published. The rest is history. The brief life of a young Christian, whose only ‘work’ was a letter to a friend, was used profoundly in the seeding of the great awakening in America. Scougal wrote that Christianity is not about external duties to perform, nor is it an emotion or feeling one has. He defines true religion as the union of the soul with God, a partaker of the divine nature, or in the apostle's words, “Christ in you, thehope of glory." Henry Scougal (1650-1678) was a Scottish theologian, minister and author. Henry Scougal was the second son of Patrick Scougal and Margaret Wemys. His father was Bishop of Aberdeen for more than 20 years. From his infancy, Scougal was raised with religion. From his youth, Scougal spent his free hours in reading, meditation and prayer. He especially enjoyed studying the historical passages of the Old Testament. In 1665 Scougal entered King's College, University of Aberdeen, and, after graduation, was promoted to the office of Professor of Philosophy. In 1672, Scougal was ordained and appointed minister of a church 20 miles from Aberdeen, where he served for one year before returning to take the office of Professor of Divinity at King's College, where he taught for five years. He spoke Latin, Hebrew, and a few Asian languages. Scougal produced a number of works while a pastor and professor of divinity at King's. His most recognized work, The Life Of God In The Soul Of Man, was originally written to a friend to explain Christianity and give spiritual counsel. 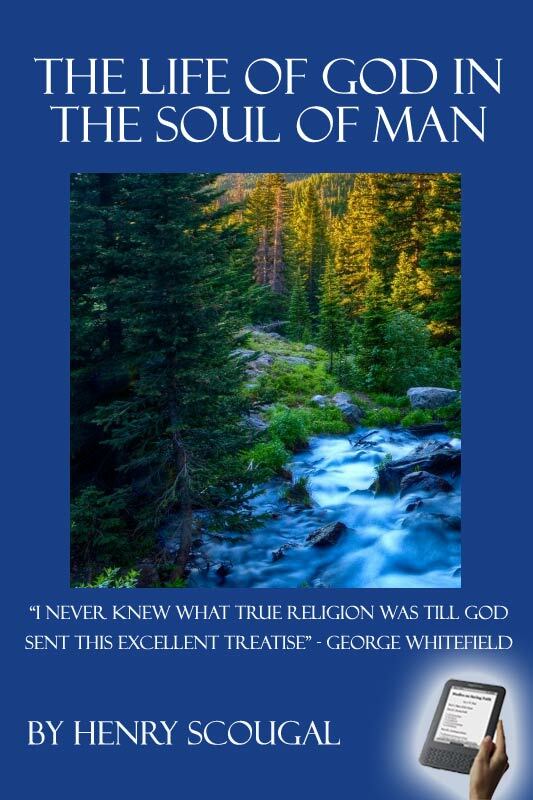 This work was almost universally praised by the leaders of the Great Awakening, including George Whitefield, who said he never really understood what true religion was until he had digested Scougal's treatise. On 13 June 1678 Scougal died of tuberculosis.